I have had this book, Life of John Newton, forever, and just haven't gotten around to getting it read and reviewed. Last week I decided it simply had to get done. What about the life of an 18th century human trafficker could inspire you? John Newton found himself the captain of a ship transporting slaves from Africa to England. On each journey, he mercilessly subjected hundreds to inhumane conditions only to be sold if they survived. But in a life-threatening storm, he cried out to God for help. Saved from imminent death, Newton soon realized he had also been saved from himself. Twenty years into his journey of knowing the grace and mercy of God, Newton penned Amazing Grace, unforgettable hymn of redemption. 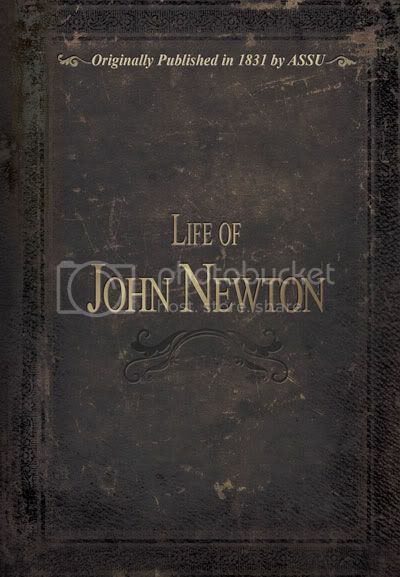 The Life of John Newton is a biography that will inspire every man, woman and child. His spiritual transformation highlights the unstoppable force of God's love and unlimited grace regardless of one’s own wretched history. This Christian Classic was originally published in 1831 ASSU (American Sunday School Union). Attic Books, an imprint of New Leaf Publishing Group, meticulously reproduced each page. With tattered edged pages and a vintage cover, Life of John Newton is now an affordable, timeless classic is for a new generation interested in the foundations of our Christian heritage. It is one of Attic Books “Life of” series featuring biographies of heroes from the 18th century and beyond. This is the fourth book in this series that I own, and the third one I've reviewed. You can check my reviews of Life of John Knox and Life of Andrew Jackson, or just read this one. When Mr. Newton returned to England, this time, he was of the opinion that the African business was too much overdone, to be profitable, and so advised his employer; but Mr. Manesty thought otherwise, and determined to send out another vessel very soon. I've long been fascinated by John Newton, so the 'wordiness' didn't bother me. Like the Andrew Jackson title, this is one I will either have my kids read -- or I will read aloud -- as we study the 18th century again.